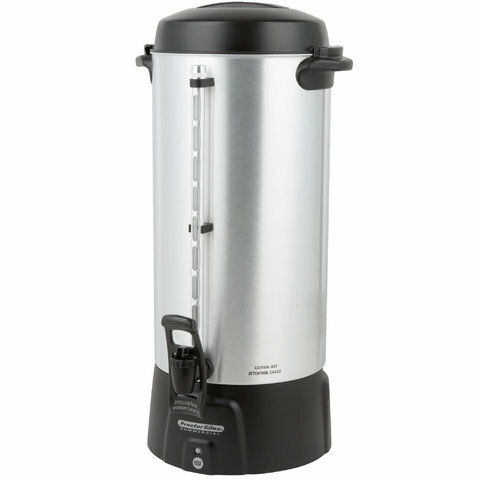 Our coffee urn has a 100 cup capacity. Perfect for any church, office, catered event, or other application where there's a need to quickly make a large amount of coffee for your guests or employees. Able to quickly brew one cup per minute and keeps coffee at ideal serving temperatures at all times.